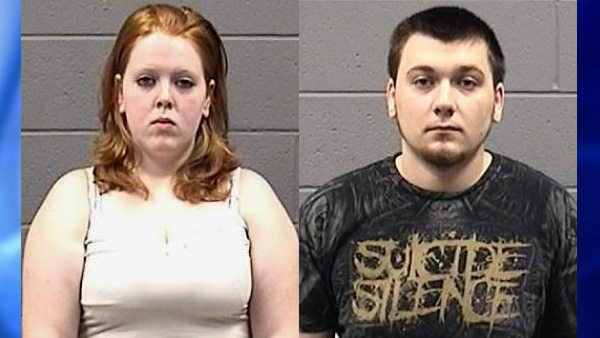 WATERBURY, Conn. -- Two young Connecticut parents are under arrest after their 1-month-old baby was found with 20 fractures. Nikolas Radaskie, 21, and 18-year-old Kali Sastrum of Waterbury were both charged with risk of injury to a minor. Police say Sastrum brought the baby to the hospital on July 2 with a swollen leg and then learned there that it was broken. Sastrum and Radaskie said they did not know how the leg might have been broken and that they were the only people caring for the child. The baby's left femur bone was completely broken, along with multiple fractures to his ribs, a torn labial frenulum, and a broken blood vessel in one eye. Medical professionals confirmed to police that the injuries were the result of trauma. The couple was released on a $25,000 bond. They are due back in court August 4. The baby is continuing to receive care for his injuries and is in the custody of the Department of Children and Families.